This 2 bedroom apartment with swimming pool is located in Mont-roig Badia and sleeps 6 people. It has a garden, parking nearby and air conditioning. 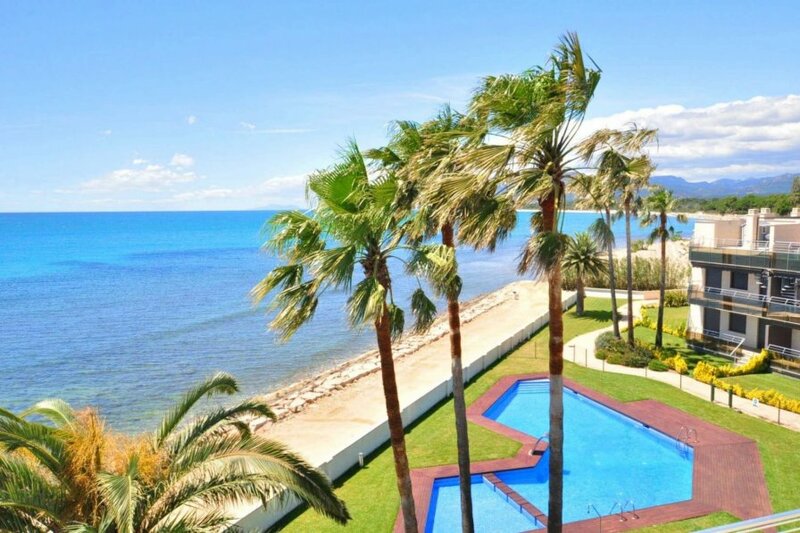 Nice, first line apartment situated only 5 km from centre et port de Cambrils right in front of the sea, there is a lovely sandy beach only 100 mts away. Tranquility is guaranteed! The complex Di Mare offers all you need: a well groomed garden with a lovely swimming pool (perfect for children), wide garden and palm trees! Di Mare apartment has 2 bedrooms and air conditioning. This accommodation is just perfect for a peaceful relaxing holiday on the Spanish Costa Dorada.